We upgrade physical facilities, replacing dark, broken down mud classrooms with new cement block ones with tile floors. At each school, we also build a library, administration block, science laboratories and latrines. We furnish all buildings with locally made desks and chairs, and we provide sports equipment and library books. Teacher training workshops are put on in collaboration with the International Community School (ICS) and the Regional Education Department. All teachers, as well as principals and supervisors, attend, and monthly follow up and mentoring for each teacher continues for three years. Selected teachers from each school also travel periodically to Addis Ababa for exposure visits at ICS. Bahir Dar University provides a landscape architect, a forester, and thousands of seedlings to set up canopy trees to provide shade for both indoor and outdoor classrooms, as well as to create a vegetable garden and fruit orchard at each school. An environmental club is set up and the gardens provide work and produce income for students and their families. We facilitate bringing water to each school, via redirection of nearby protected springs, and construction of reservoirs and distribution points. Wash basins are also set up by latrines. 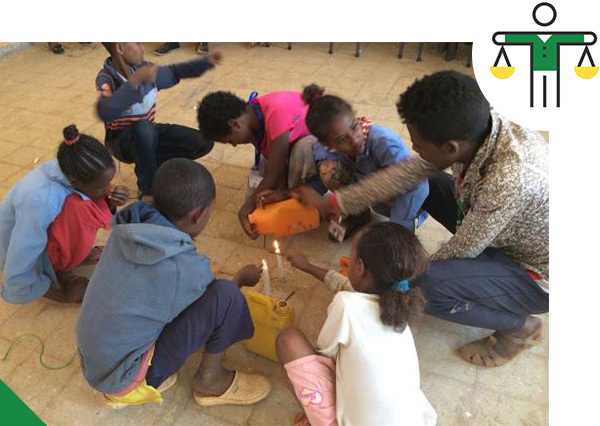 In collaboration with the local Health Department, sanitation and hygiene workshops are provided to students and teachers, and WaSH clubs are instituted at the schools. 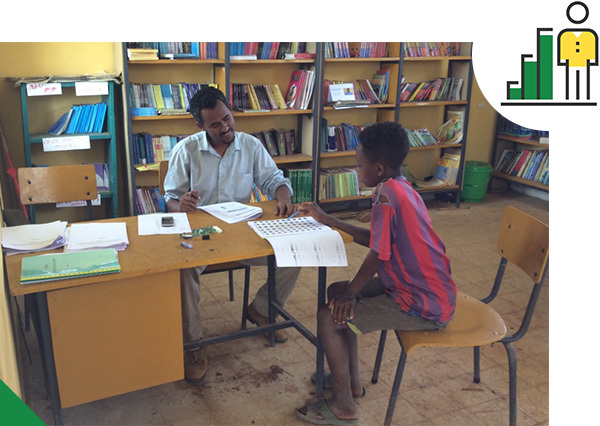 Annual standard Early Grade Reading Assessments and Early Grade Mathematics Assessments created by USAID are administered at our schools as well as at control schools in the same region. In addition, a survey of well-being created by the World Health Organization is administered on an annual basis. 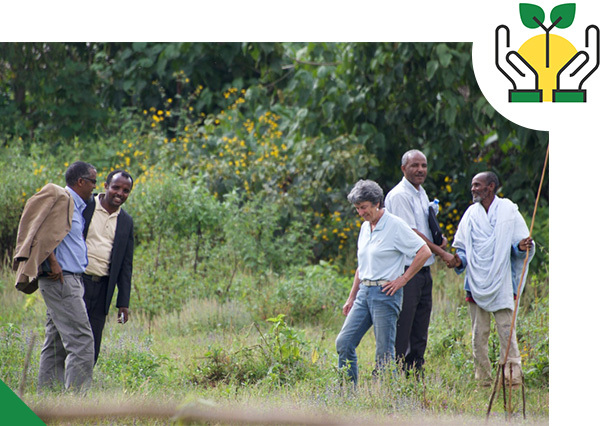 All of FGCF’s projects are initiated by communities. They are signatories to construction contracts, and they stay closely involved and consulted throughout the duration of projects. Communities fund a minimum of 25% and up to 60% of the total project cost, depositing their contributions into FGCF’s bank account prior to the beginning of construction. Community members collaborate with FGCF to select contractors for the project: each party invites contractors to submit sealed bids, and they are opened at a public meeting. Once the project is underway, community members oversee physical construction and the greening program on an ongoing basis. The Regional Education Department is a signatory to the construction contracts for each project. This ensures that government standards are respected at every stage. The Department assigns and pays teachers and support staff, supplies science kits and textbooks, as well as helps facilitate and implement the professional development component of the projects. Representatives of the department have also attended our workshops. Communities approach FGCF with proposed projects. We then assess the need, the commitment of the community as well as the school principals, and the community’s ability to contribute to the cost. In the fall of each year, projects are selected for the next year. In each selected community, sealed contractor bids are tendered and opened in a public forum. Then construction begins as soon as the community cash contribution is deposited into FGCF’s bank account, so that new schools may be opened at the start of term in September. 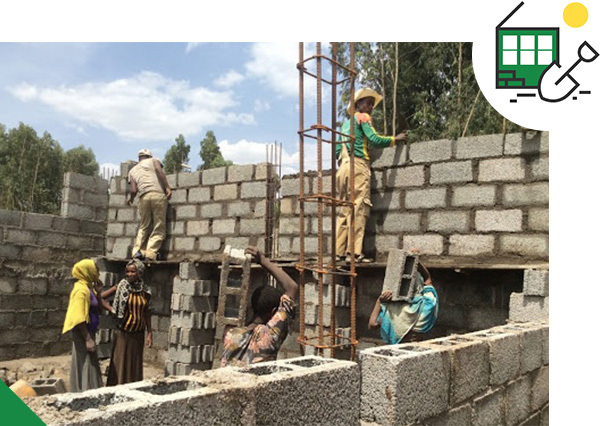 The teacher training, sanitation & hygiene, and greening programs follow as soon as the school is built. Outcome measurement and research also begins at the end of the first term.